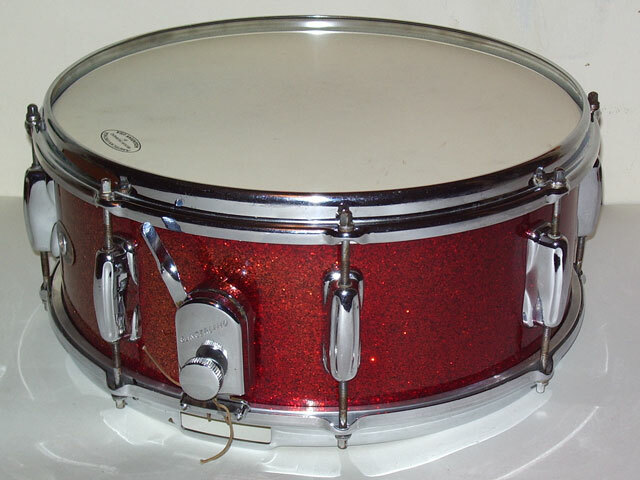 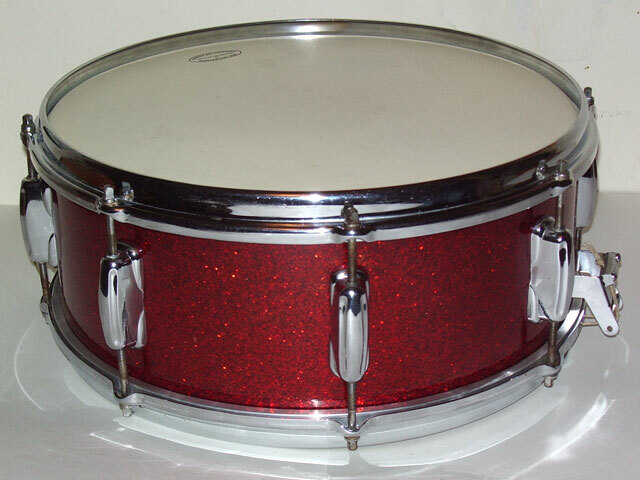 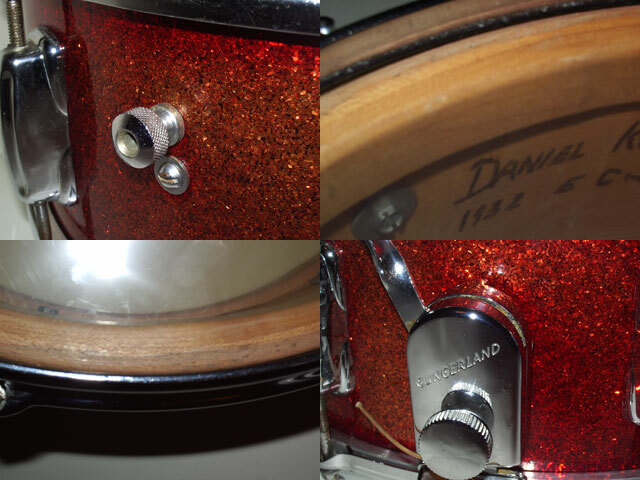 One side of the drum has faded from red sparkle to tangerine sparkle, still beautiful, but faded! 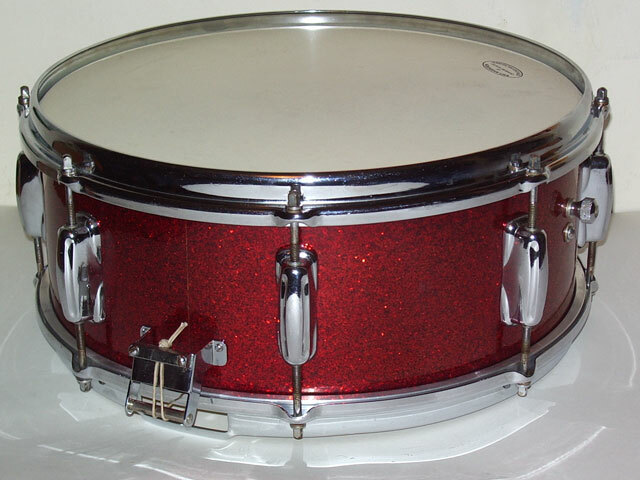 but a lot of them have 3-ply shells. 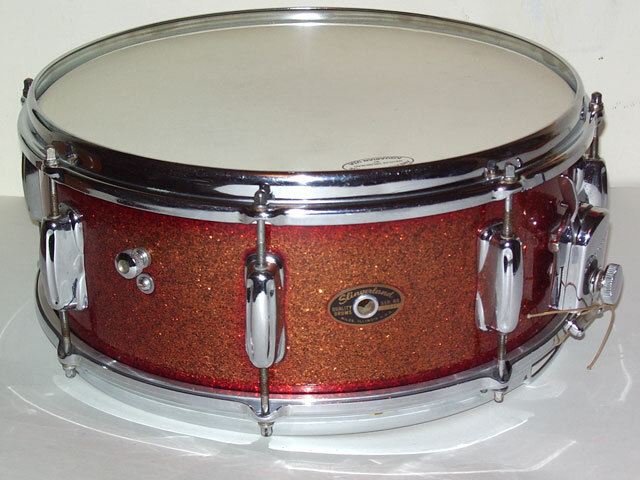 This is a 1-ply solid maple shell, the real one, with the superior sound of the legendary 1-ply Radio King.